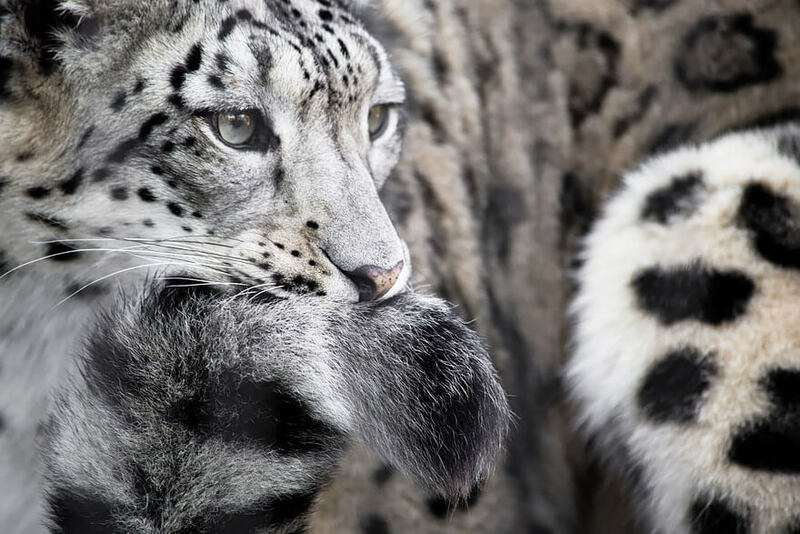 The snow leopard, which is also called Ounce is a fairly big cat that can usually be found in central and South Asia, in particular around the mountains. 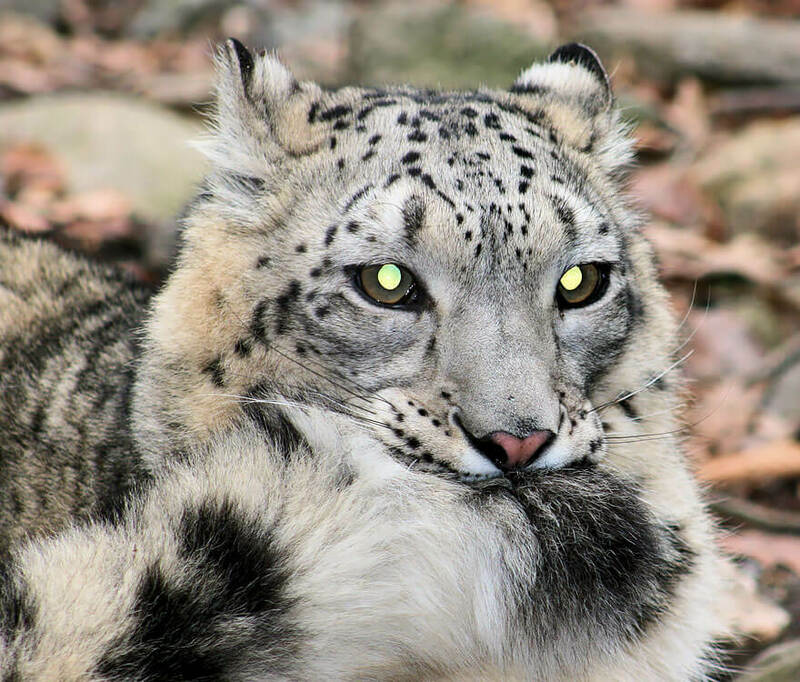 The snow leopard species is registered as a Vulnerable breed according to the IUCN Red List, it’s population is estimated to be less than 10,000 worldwide and it’s also on the decline. 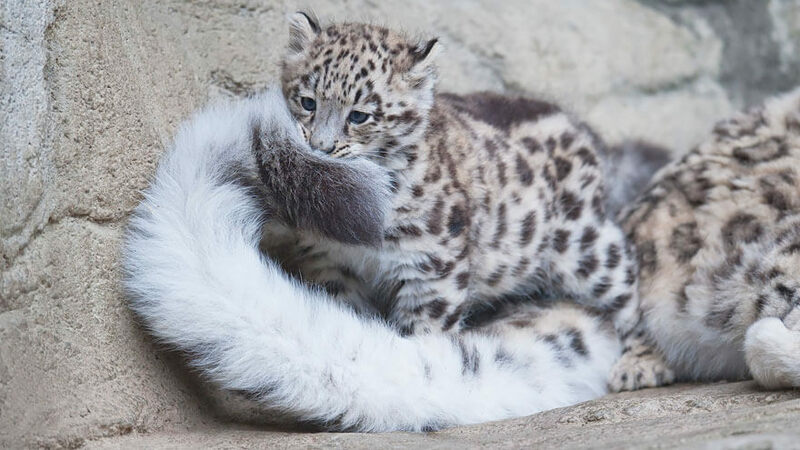 But you’re not here to hear this noise, you wanted to know why do snow leopards bite their tails right? 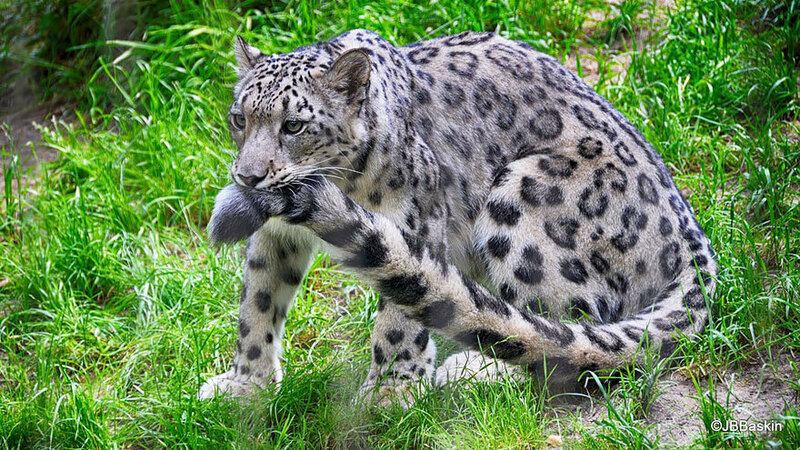 So why do snow leopards bite their tails? 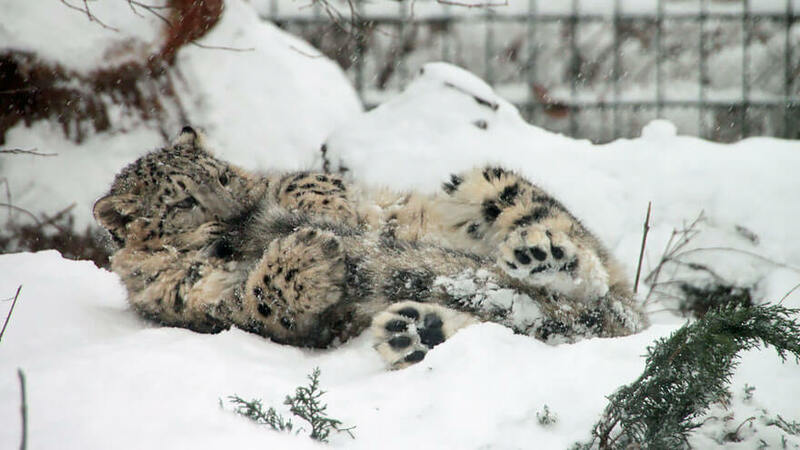 As the name implies, the snow leopard cat lives in areas where there is snow, and sometime even freezing conditions. 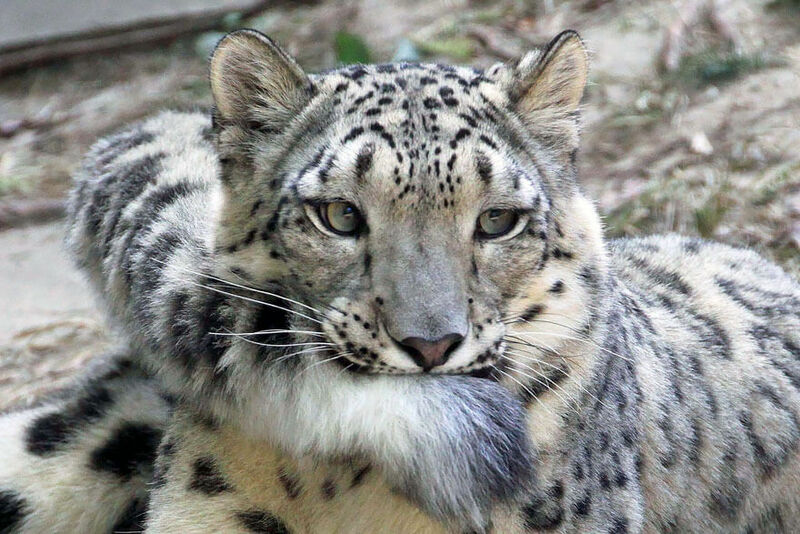 So one theory that try and explain the reason snow leopards bite their tails is because it’s a way of protecting their mouth and nose from the extreme cold. 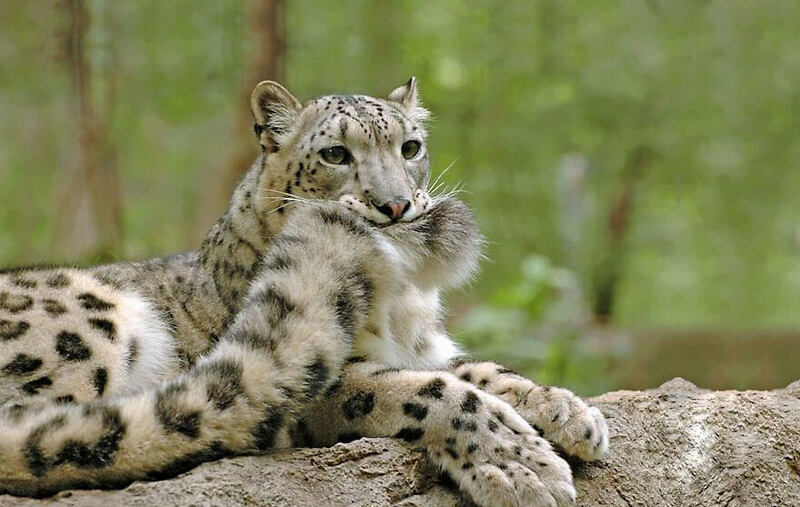 Their tails are very fluffy with long warm fur so placing it inside or just over their mouth can provide much needed heat and prevent frostbites. 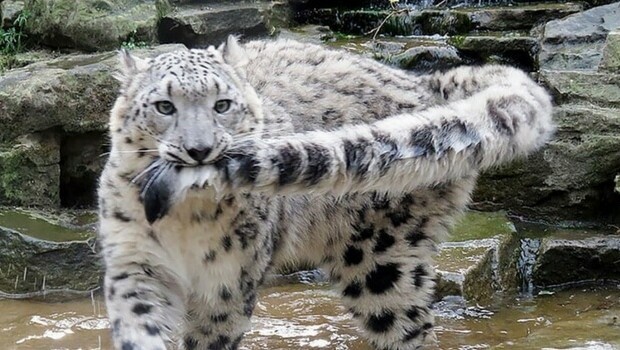 This raises the next question – So why do they also bite their tails when living in captivity where it’s not that cold? Well the answer to this question is very simple. It’s a behavioural trait. 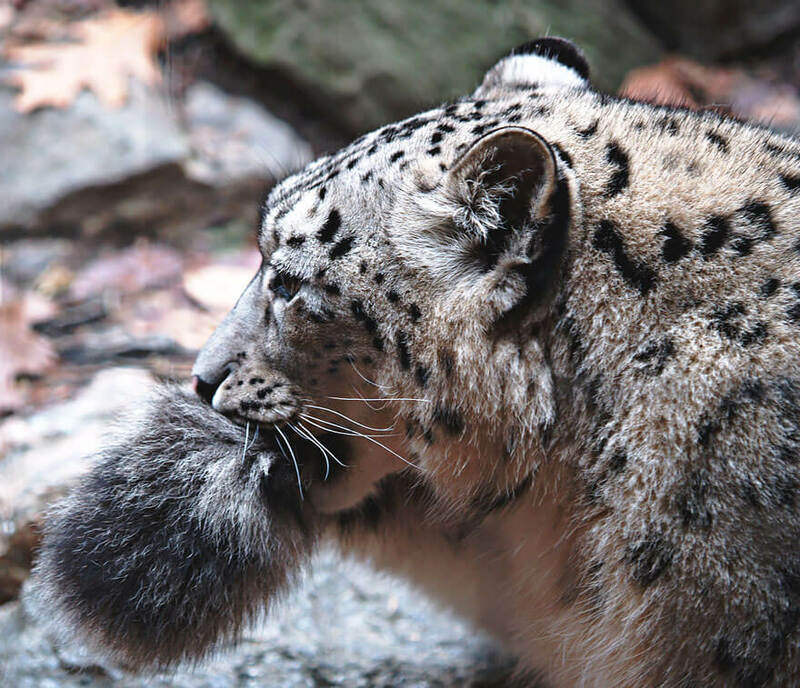 Yup, like many other animals, it could be that the snow leopard is so used to living in harsh freezing conditions, that it places its tail in its mouth without even thinking about it too much. 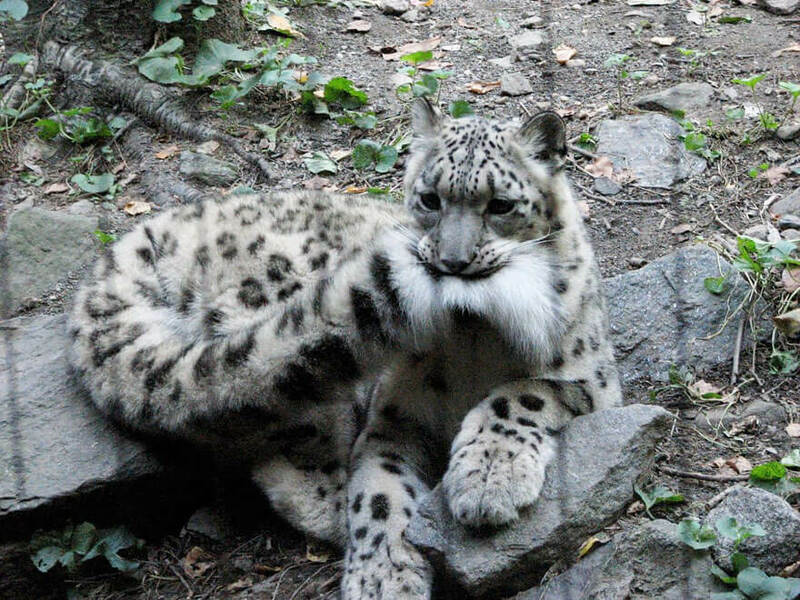 Another theory that tries to explain this strange but lovable act is the fact that snow leopards are basically just big cats. And like all cats, they like to play. 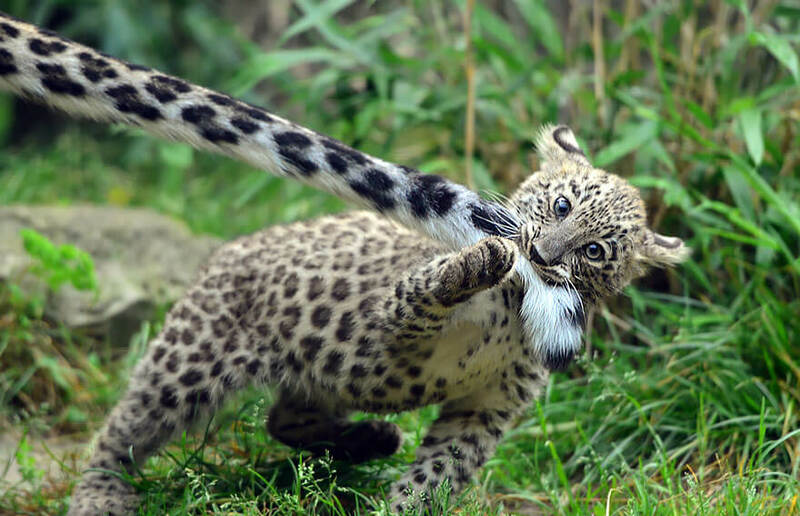 So this unusual habit of biting your own tail could just be a fun activity for them to pass time and fight boredom while in captivity. Whichever of these reasons is true, hard to tell, but what is very easy to tell is that these majestic creatures are just beautiful. So have a look at some of their pictures and tell us what you think is the correct reason. 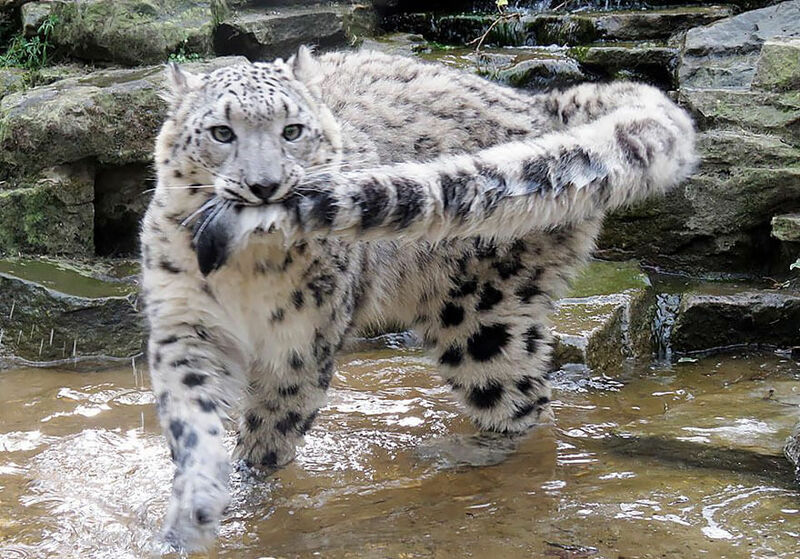 By the way, if you were wondering about their stunning tail, you be happy to learn that the snow leopard tails is about the same length and their entire body, it can reach around 80 – 105 centimeters! And the more obvious reason it’s so long is to help them balance.